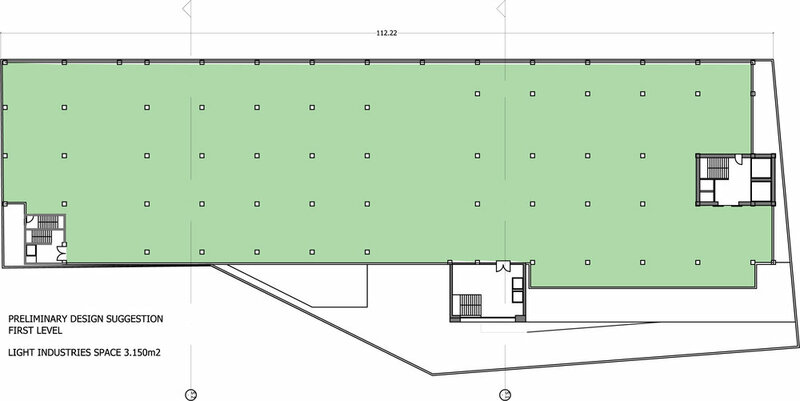 The client wanted a feasibility study for a 4.500sqm plot in an industrial area in Malta. A modern Industrial Park with warehouse-space at ground level and light industries on the first, second and third level. The new development should stand out from its surroundings of nondescript buildings and become a landmark in the area.